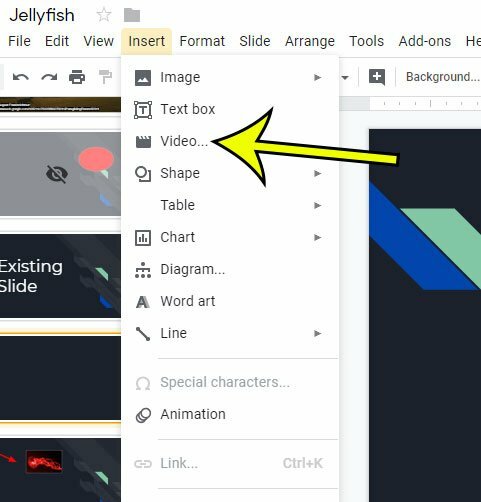 Presentations like those you create in Google Slides or Microsoft Powerpoint typically benefit from visual aids. Whether this is a chart, picture, or some other way to make your data more visually appealing, it can help to keep your audience entertained. One other way that you can accomplish this is to add a video to one of the slides in your presentation. 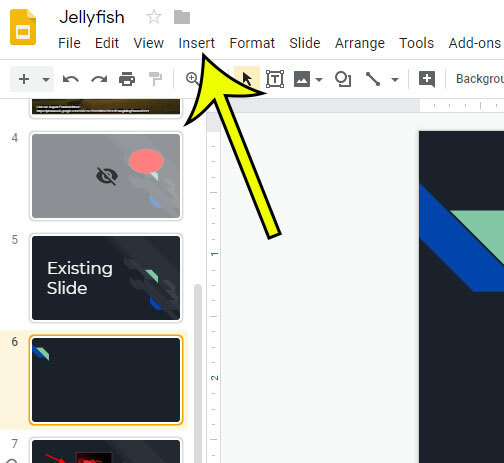 Fortunately Google Slides makes it easy for you to add a video to one of your presentations, such as a video that you found or uploaded to YouTube. The steps in this article were performed in the desktop version of the Google Chrome Web browser. These steps will also work in other browsers like Edge or Safari. 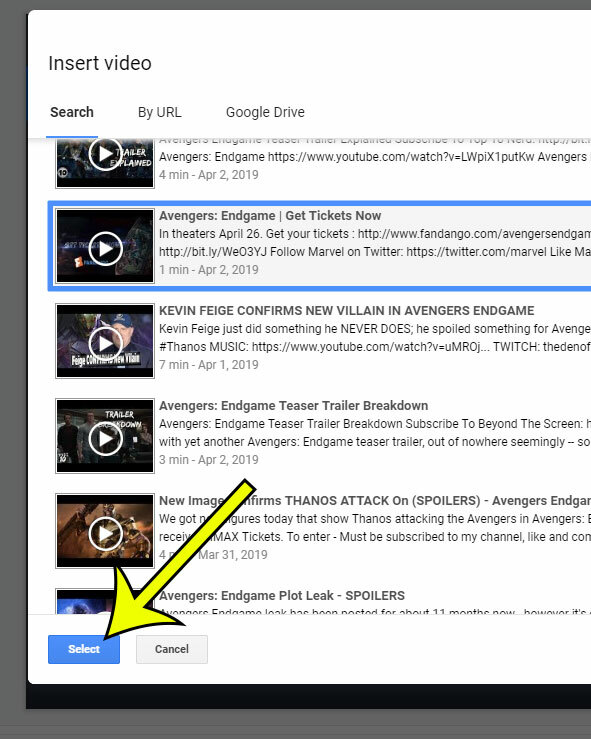 Step 1: Sign into Google Drive at https://drive.google.com and open the slideshow to which you want to add the video. Step 2: Select the slide for the video from the list at the left side of the window. Step 4: Choose the Video option. Step 5: Type a search term into the field, then click the search icon. 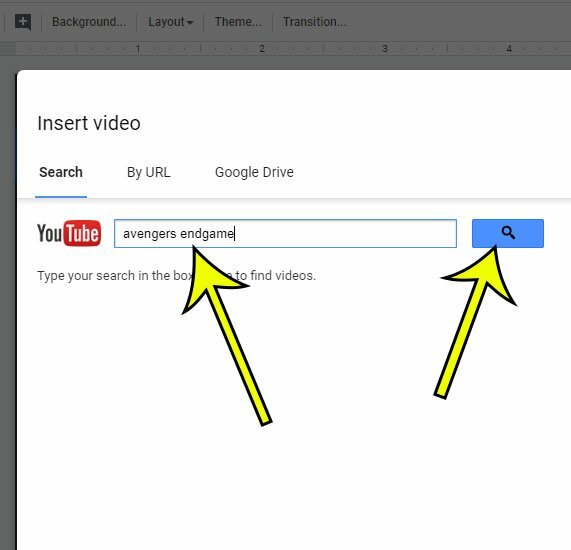 Step 6: Choose the video you want to add, then click the Select button. 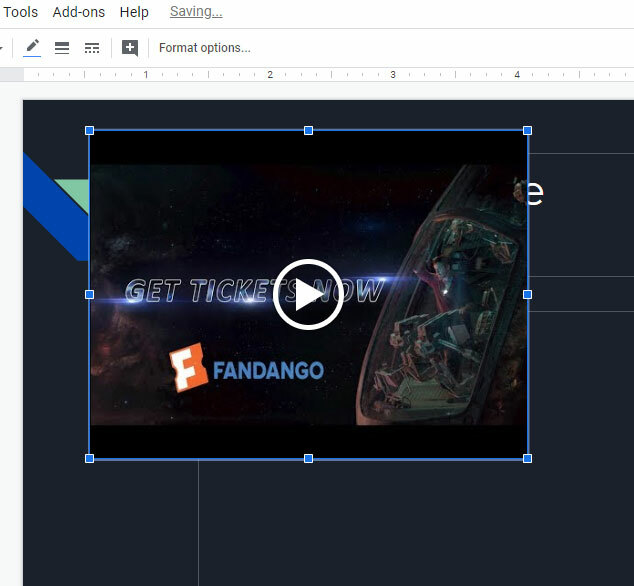 Step 7: Click on any of the boxes around the video to resize it, then drag it to the desired location on the slide. 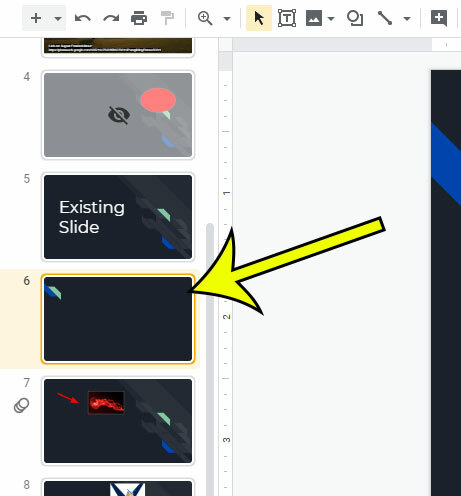 Find out how to use a similar method to add a picture to one of your slides if you have a picture on your computer or online that you want to include in the presentation.